For over 40 years, The Junior League of Boca Raton has been the driving force behind the kinds of initiatives that make our community a better place to live! Members of the JLBR are accomplished collaborators who identify community needs, build coalitions and develop effective, responsive programs to tackle the tough issues in our community. Our members are a group of women with diverse backgrounds, interests and professional pursuits, working together to identify the unmet needs in our community and work for change. We offer extensive training in areas such as leadership and organizational development, community needs assessment, strategic planning, communications, advocacy and fundraising. We offer our members fellowship, leadership development and meaningful opportunities to strengthen their community through volunteering. The power of the JLBR is fueled by the desire of our volunteers to positively impact our community. 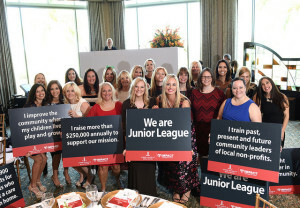 Throughout our history, our members have amassed hundreds of thousands of volunteer hours and contributed hundreds of thousands of dollars to organizations that have relied on the Junior League of Boca Raton for support during their inception, ongoing maintenance of programs and in difficult times. The JLBR’s training opportunities, both formal and experimental, help members develop skills that often lead to endeavors which extend beyond our organization’s bounds. It is difficult to find an organization in the Boca Raton area that has not benefited from the involvement of a JLBR member. 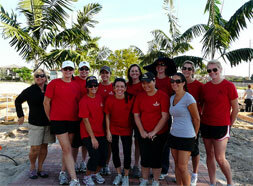 To learn more about becoming a member of the Junior League of Boca Raton click here.